Size is often one of the most important factors in choosing garage door openers Westlake CA. However, you can’t rely on size alone when selecting a garage door opener. A single door made of a heavy material like solid wood may require more horsepower than a door made of lighter material like vinyl. 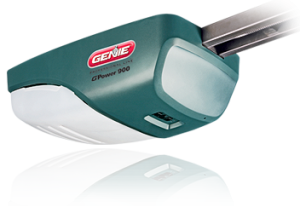 We also offer direct drive, screw, chain, and belt operated garage door openers. One of our expert technicians will be happy to explain the pros and cons of these different mechanisms. While many aspects of your garage door opener fall into the out of sight, out of mind category, the remote isn’t one of them. You might be excited to get a multi-function remote that can also control your gate, or you might be satisfied with a simple one button remote. We also offer systems with high-tech remote control features like motion detecting control panels or keyless entry pads. No matter what features interest you most, we’ll help you find an opener and remote that you’ll enjoy using. When you have a problem with your garage door opener motor, mechanism, or remote, you can call Carroll Garage Doors. Our expert technicians will be more than happy to share their knowledge and fix your opener for you. You may also be interested in getting preventative maintenance services like safety inspections, opener motor tuneups, and lubrications in order to keep your opener in great condition.